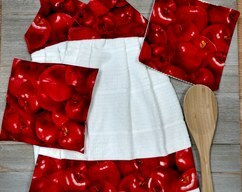 Dishes not are not included with towel. They are for display purposes only. If you have ever been to the southwest and fallen in love with the southwestern decor, then this cactus kitchen towel is for you. This would also look very nice as southwestern kitchen decor. 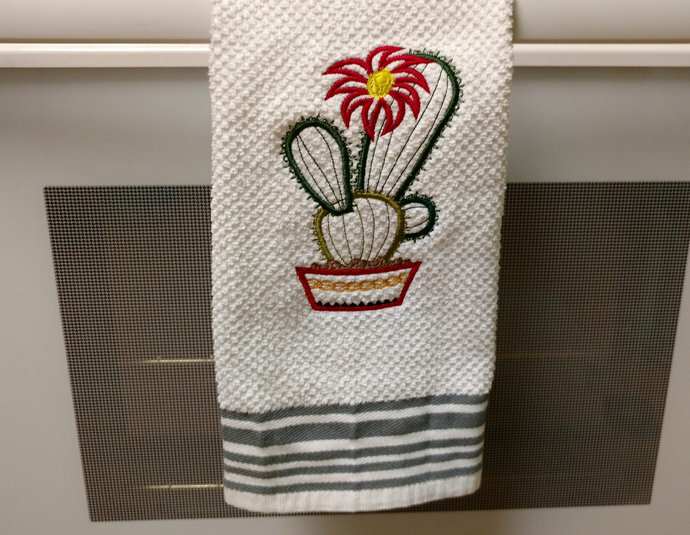 This cactus dish towel is done on white towel with grey border on each end. Towel is new, but has been rinsed to preshrink and remove and residual dye. 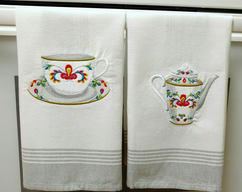 Succulent tea towel is embroidered with polyester thread and cutaway stabilizer. 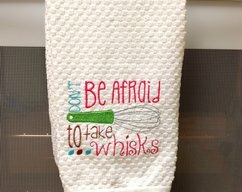 Cactus dish towel is machine washable and may be dried in the dryer. Towel measures approx. 25 1/4 inches long and 15 inches wide. This succulent tea towel would make a nice bathroom hand towel. 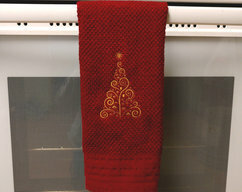 Also would make a nice new home housewarming gift, birthday gift, hostess gift, or gift for her.